How about a lossless formats? Agreed. The FAQ says mp3 only for now but FLAC should be a priority. aac/m4a support would be nice as well. I got my whole music collection stored in FLAC-files, so this would be greatly appreciated. I believe gstreamer is already a dependency of Steam for Linux. So that wouldn't be too hard to support anything else. I'm sure It's mp3 only just for testing purposes. This. Wish MP3s would just become obsolete a bit quicker. Under linux Steam could use mplayer or gstreamer as a backend. Yah. I would like VLC as an option also because MIDI support XD. Doesn't seem like it uses it to me. Just checked. I saw references to libopenal, libvorbis, libogg and libflac. Guess I'm mistaken. It is based on what your distro says are dependencies for Steam in Linux. I know a while ago in Arch pulseaudio was even a dependency though I'm sure that's been removed by now. Mp3 is a easy and old firmat with small size and good quality. 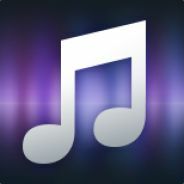 So its the better way to test steam music feature. I'm sure that Flac will become an ultimate quality format. But in late beta or further. FLAC, Opus, Vorbis should be supported, as they are the best codecs around, and free. I don't care for AAC but you probably want to support it aswell (iTunes etc.). You say that like its obvious, which it isn't. Enlighten me. I hope they add FLAC support soon. Almost my entire collection is in FLAC (I only have spare songs in MP3).